Description / Color / Consistency: A thin pale yellow to brownish liquid. Aromatic Summary / Note / Strength of Aroma: A middle note of strong aroma, this oil has a sweet and woody scent, and sometimes reminiscent of sandalwood. It is softer than that of Cedarwood Atlas, but stronger than that of Cedarwood Texas. Product Abstract: The Virginia Cedarwood is a slow-growing, coniferous evergreen, reaching heights of 33 metres. It has a reddish heartwood and bears brown cones. 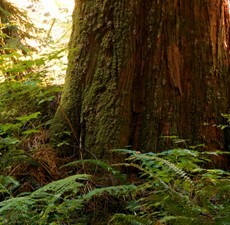 Also known as Red Cedar, it is from the family Cupressacea. Originally used by native North Americans, Cedar is an important ornamental and timber tree of eastern North America whose fragrant wood is made into cabinets, fence posts, and pencils. Juniperus virginiana / SD-W / USA wood Botanical Name: Juniperus virginiana Main Constituents: Cedrol: 22.53% Thujopsenene: 20.31% Plant Part: Wood Origin: USA Processing Method: Steam Distilled Description / Color / Consistency: A thin pale yellow to brownish liquid. Aromatic Summary / Note / Strength of Aroma: A middle note of strong aroma, this oil has a sweet and woody scent, and sometimes reminiscent of sandalwood. It is softer than that of Cedarwood Atlas, but stronger than that of Cedarwood Texas. Blends With: Rosewood, Bergamot, Cypress, Cassia, Jasmine, Juniper, Neroli, Labdanum, Frankincense, Clary Sage, Vetiver, Rosemary, Ylang-ylang. Product Abstract: The Virginia Cedarwood is a slow-growing, coniferous evergreen, reaching heights of 33 metres. It has a reddish heartwood and bears brown cones. Also known as Red Cedar, it is from the family Cupressacea. Originally used by native North Americans, Cedar is an important ornamental and timber tree of eastern North America whose fragrant wood is made into cabinets, fence posts, and pencils. Cautions: Dilute before use; for external use only. May cause skin irritation in some individuals; a skin test is recommended prior to use. Contact with eyes should be avoided.